I was all set to offer another ChessBase 11 tip today, but I’ve decided to hold off on it until next week, as I’ve found an interesting chess position for you to practice against, using your computer chessplaying program. Now most of us don’t happen to have a chess master living down the street. 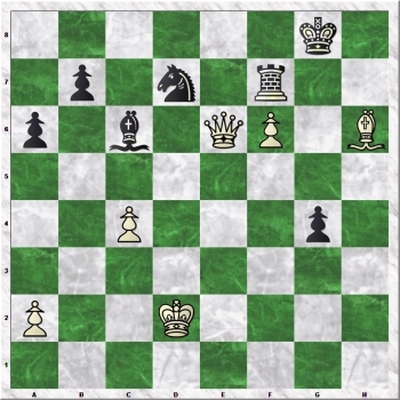 So how do we experiment with this position to see how tough it is for White? This, friends, is exactly the type of thing at which Fritz, Rybka, Hiarcs, etc. positively excel. 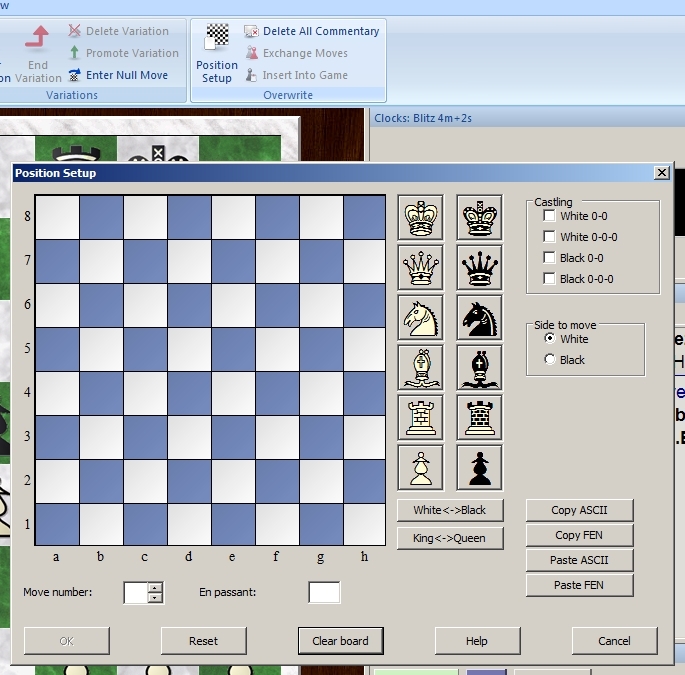 You can enter any legal chess position and then play it out against the computer. Set up the second board position above (the one with the White Queen vs. Black’s two minors) and make sure the radio button next to “White” (under “Side to move” is checked). 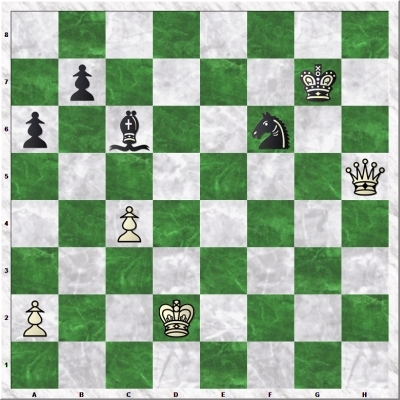 Click “OK” and you’ll see the position appear on the main chessboard. Now go to the Home menu and click the “Levels” button, then select “Fixed time”. Set the time to a decent number (45 to 60 seconds should do); which should allow your chess engine to play at least at master level. Now make a move as White. Your chess engine will begin chewing on the position and it should make a move within a minute or two. After it moves, analyse the position and make a reply. Play out the game and see how tough it is to win this position against a master-level Black player. Was Capa right in saying that the position “is by no means easy” for White?